100% MCT oil. 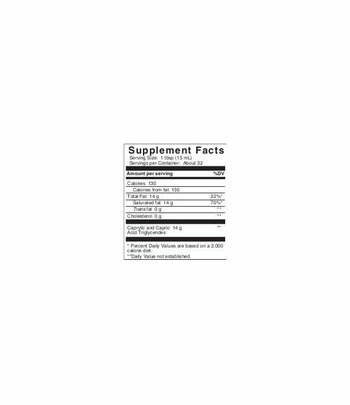 XCT Oil only contains C8 and C10 fatty acids. Contains 945 ml (32 oz). 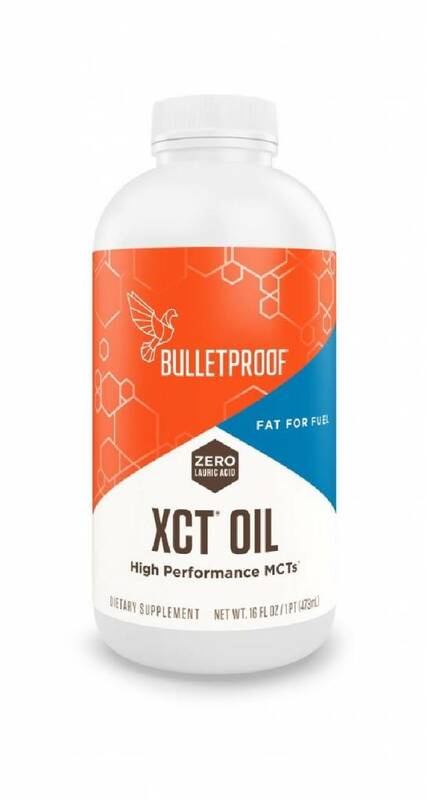 The Bulletproof XCT Oil is the new name for the Bulletproof MCT Oil. However, it is still 100% MCT oil of the highest quality. It's also GMO-free, aflatoxin-free, BSE/TSE-free, and melamine-free. 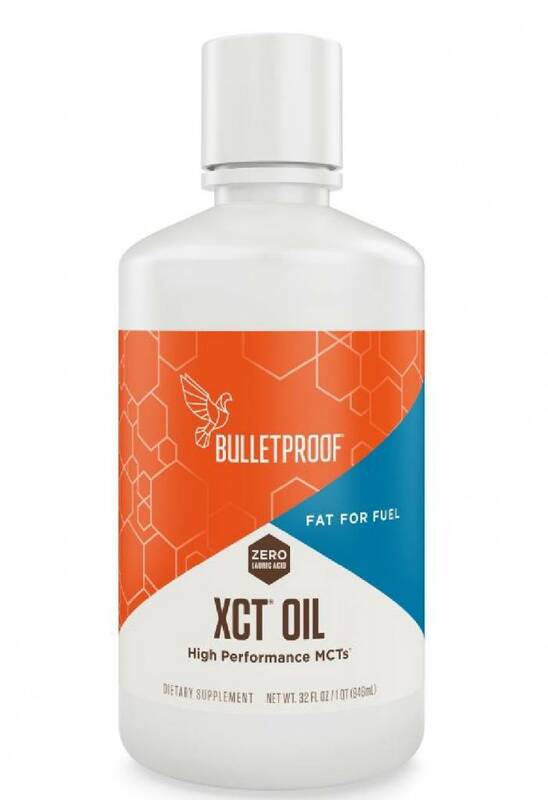 How is Bulletproof® Upgraded™ XCT Oil made? 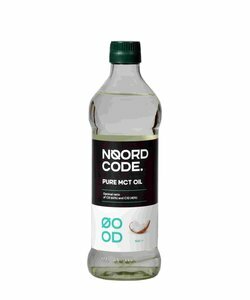 Extra purified Bulletproof XCT Oil is a quality fat made of Caprylic (C8) and capric (C10) acid triglycerides sourced from coconut oil. XCT Oil is refined and created through a proprietary process using only heat, water, pressure and earthen clay. No harsh chemicals are used in the production of our oils. 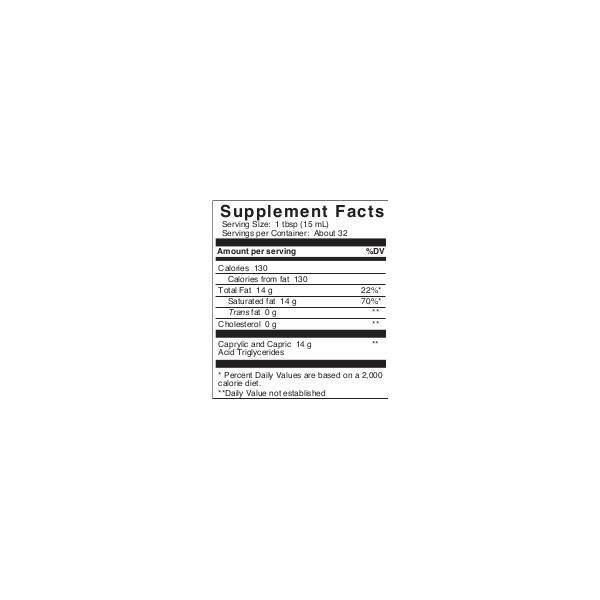 Bulletproof XCT Oil is a food supplement in the category fatty acids. 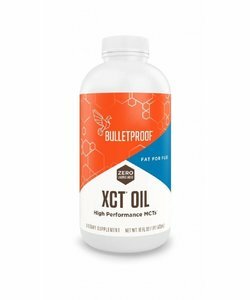 Suggested Use: Use Bulletproof XCT oil as supplement oil in your diet. This is not a complete replacement. Add 1 tablespoon (15 ml) to warm beverages (f.e.. coffee or tea), smoothies, salad dressings, or to meals up to 3 times per day. Start by using 1 teaspoon and slowly increase over multiple days. Too much Bulletproof XCT oil causes stomach ache or loose stools, especially when taken on an empty stomach. Bulletproof XCT oil can be heated up to 160 °C. 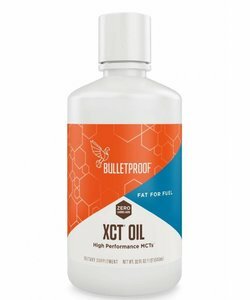 Bulletproof XCT oil has no flavour and is liquid at room temperature, so you can upgrade any meal with it.